Seeing as this has been a very rugby-filled week (well in NZ it's been a rugby-filled two months actually!) 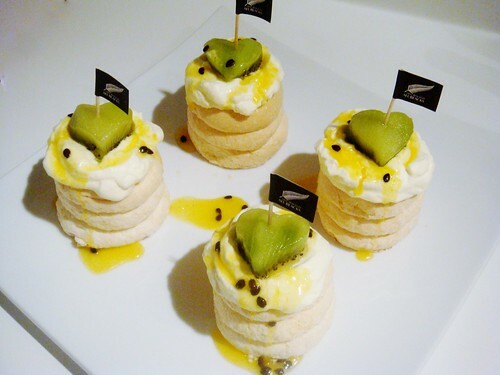 I thought I would share with you the cute pavlovas I made for watching the final game on Sunday. Pavlova is a very very Kiwi dessert. I think the Aussies tried to steal it from us but it is definitely a Kiwi dessert. It is basically eggs and sugar (a lot like meringue) baked then topped with cream and fruit. If you want to make these yourself it's totally easy because you can cheat! (I did!) Buy six mini pavlovas, top with whipped cream and whatever yummy fruit is in season. Strawberries, kiwifruit and mixed berries go really well! 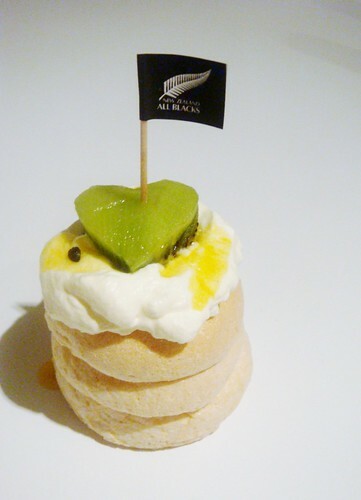 I used some passion fruit pulp then topped with kiwifruit that I cut out with a heart shaped cookie cutter, then made some home made All Blacks supporter flags on toothpicks and popped them on top. Voila! 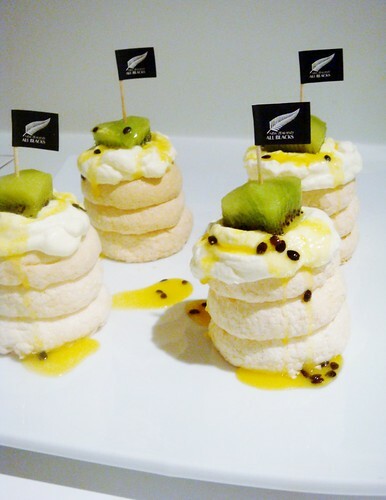 Mini Pavlovas perfect for watching the game and VERY Kiwi!